Now that we have 2011 in review, (and have hopefully learned a thing or two), we look to 2012 where many of us will be thinking about what our resolutions should be, if we haven’t already. The reality about New Year resolutions is that like any other goals (that we set at any time of the year,) it takes a lot of will and patience to achieve them. Some people think that too much is made of goal-setting around this time of year. They have a point. Every new year we watch people around us commit to things and fail. Perhaps, we watch ourselves do it as well. So what’s all the fuss? Why do people even bother to make goals? Should we even make New Year resolutions? Firstly, I think the fuss is that the psychological effect of a new year has a tendency to bring hope for most people. 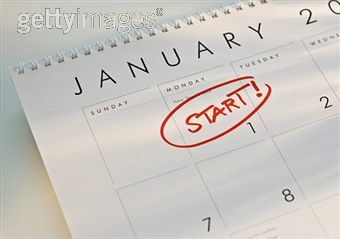 The “fresh start” that can sometimes be difficult to find or define at “any old date” is found in the spirit of a new year. Secondly, we bother to make goals because no matter where we all are in our lives, how successful or unsuccessful, how happy or unhappy, etc, we all think that there is room for improvement. And the truth is, as long as we’re human, there is. It’s not that one should not be happy or grateful for what one has, it’s that as long as we are breathing, we should want to be more than what we are. Or maybe not more, but different; better. Not only is there nothing wrong with that, it’s something good. Thirdly, we ought to continue to make resolutions to improve because we owe it to ourselves, our loved ones, humanity, and the one life we have, to give it all we have; to be the best versions of ourselves we can be. 2. Personal Goal: Listen more and be more patient with people (no matter how intellectually-challenged I think they are). Refrain from immediately retorting to one comment or question (that I find annoying) at least twice a day. 3. Career Goal: Work 75-85 hours per week on MCG Media Inc, Ms Career Girl Events as well as other “regularly scheduled” job (that I am still deciding on/hoping for, I’ll keep you posted 😉 ) Make sure all timelines on events are followed. 4. Writing Goal: Continue writing twice a week on this blog. Conduct a bi-weekly posting schedule on MsCareerGirl blog. Finish 1 of my “heavy” writing projects by November. 5. Health Goal: Continue eating healthy and a 4-5 day weekly workout schedule. Participate in three 5ks and two 10ks. (By April, CONSIDER participating in a half-marathon because let’s face it, once a sprinter…seldom a long-distance runner.) Get certified in Zumba by September! Dreams. What do I want from life? 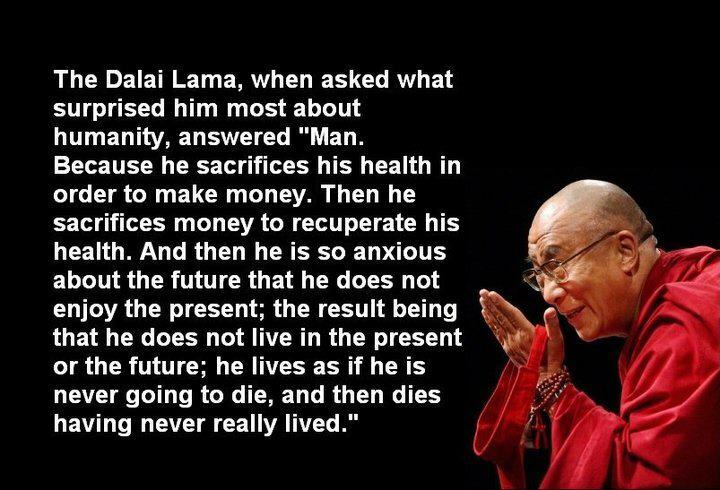 Above is one of my favorite quotes for life…and death. Yesterday, I read an article about death (sort of) titled : “The top 5 regrets of those about to die.” It’s a good read and I highly recommend you read it. (After you’re done here, of course.) http://addicted2success.com/success-advice/the-top-5-regrets-in-life-by-those-about-to-die/ Before reading it, I had started on making my vision board. I certainly believe in the power of positive thinking coupled with a belief that we all have a purpose on earth. Between these two activities-making my vision board and reading the article, it made me go into reflection mode. What do I, Kovie Biakolo, REALLY want out of life. Do you ever wonder and legitimately think about this too? It’s so easy to get caught up in the mundane tasks of life that we forget we ought to have dreams and purposes in life. Well, at least I believe we do. As I made my vision board and tried to decide what I want out of life, professionally and personally (and especially professionally), I realized that what is harder than chasing a dream or living for a purpose is realizing that you don’t know exactly what dream to chase or purpose to fulfill. As in, I don’t know for sure what I want to be (when I grow up). I don’t know exactly what I want from my professional life. Or maybe it is that I have so many options, I am not so sure which one is “my calling.” You see, I don’t believe in just having a profession or job, I believe in having a vocation. I like marketing, I like events, I like media and social media. I also like education, writing and I like law (at least I like reading about it). I LIKE SO MANY THINGS! The beauty of course is that I know that I don’t need to decide this in a certain period of time. That’s what life is all about, right? Figuring it out and making room for some adventures along the way. In fact, some of my best life decisions were made in an instant or “by chance” or I prefer, fate. Going to Drake, for example and dare I say, not going to law school this fall. Going back to my vision board. For some reason, deciding on my personal goals seemed a lot easier. I’m not really much of a personal lives “sharer,” but there’s a first time for everything I suppose. Here it goes: I know I want a big family like the one I grew up in. I know I want to live in London at some point. I know I want to travel to about 100 countries and I even know that I want to be a Zumba instructor for fun in the next year or two. The only certain professional goals that I secured is that I know I want to work with MsCareerGirl for a long time (wherever I am) and that I want to be a founder of a “cause” organization. I am grateful that I have some goals and that I know some of what I do want personally. Work, after all, as they say, is a necessary evil. I guess I want whatever vocation I find myself doing as work in the long-term, to be a necessary good. The article confirmed for me that it’s good to have dreams, but not to just have dreams but to keep track of those dreams. Remember when you were a kid and you believed everything was possible? Did adulthood take that away from you? Well, don’t blame it on adulthood. You’re not supposed to lose your childish enthusiasm, remember? Adulthood should make those dreams more coherent despite growing up being difficult; it should make the path to those dreams clearer. If of course, we really want what we say we want badly enough. I’ve heard (I believe from Grey’s Anatomy) that as tough as wanting something is, those who suffer the most are those who don’t know what they want. (I might be in this boat a little) But as I’ve also heard (from Grey’s too) life is not a spectator sport. So why is it that people go through their lives as if they are spectators? If you’re living, you’re in the game, not on the sidelines. Maybe those who suffer the most then, are those who go through their lives and don’t even bother to dream and those who have a dream but never even bother to chase it. I’m not saying stop everything you’re doing, quit your job or sell all your belongings and go for it (although if that’s what it takes, you might consider it) but for goodness sake, ask yourself: what do I want out of my life? Then write it down and go from there. I don’t know everything I want. I might only know as I continue to go through life’s adventure and this year has certainly been one heck of an adventure for me. But as God is my witness, as I figure it out, I’m going for it. I’ve never been much of a spectator anyway. One of my greatest strengths is that I am competitor and I love to play the game. What Tim Tebow taught us.